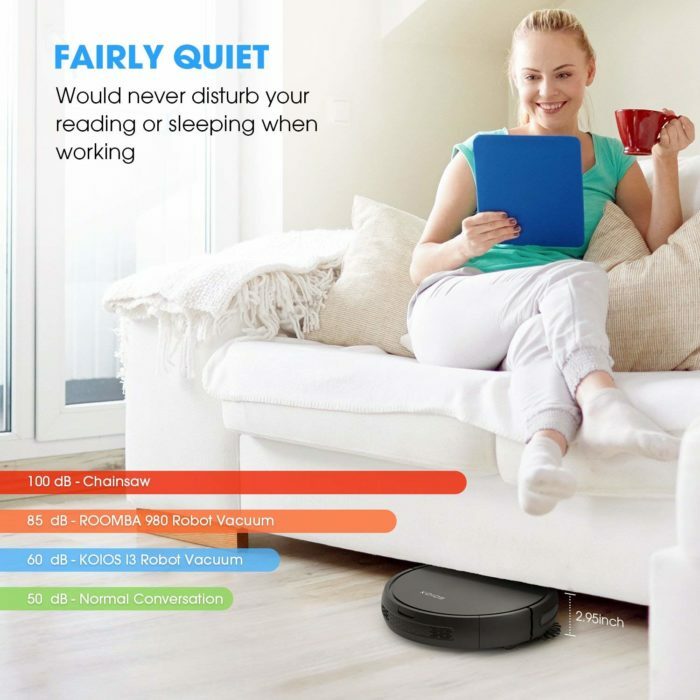 ✔ STRONG SUCTION ROBOT VACUUM CLEANER FOR HOME – Try our 80% higher suction than others powerful robotic vacuum cleaner with an advanced auto-clean system! 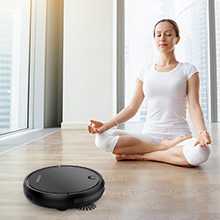 Clean your house with the click of a button on the robot or remote control – free up your time to do the things you love. 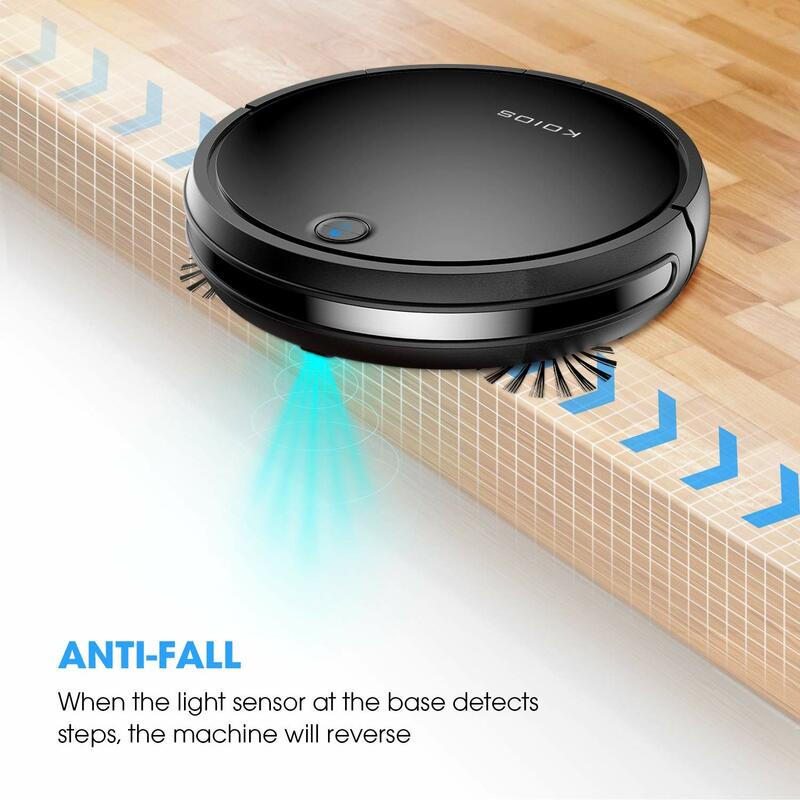 The low-profile design facilitates cleaning under tables and chairs along with every nook and cranny. 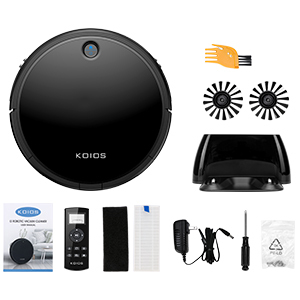 ✔ FULL ACCESSARIES, 30 DAY MONEY BACK GAURANTEE AND 1 YEAR WARRANTY – You will get Koios Robot Vacuum Cleaner, remote control (requires 2*AAA batteries, not included), Li-ion battery, AC power adapter, charging dock, HEPA-style filter, side brushes, clean brush, screwdriver, screw, user manual in the box. And use I3 with pride and confidence 30 days Money Back GUARANTEED and 1-year warranty. 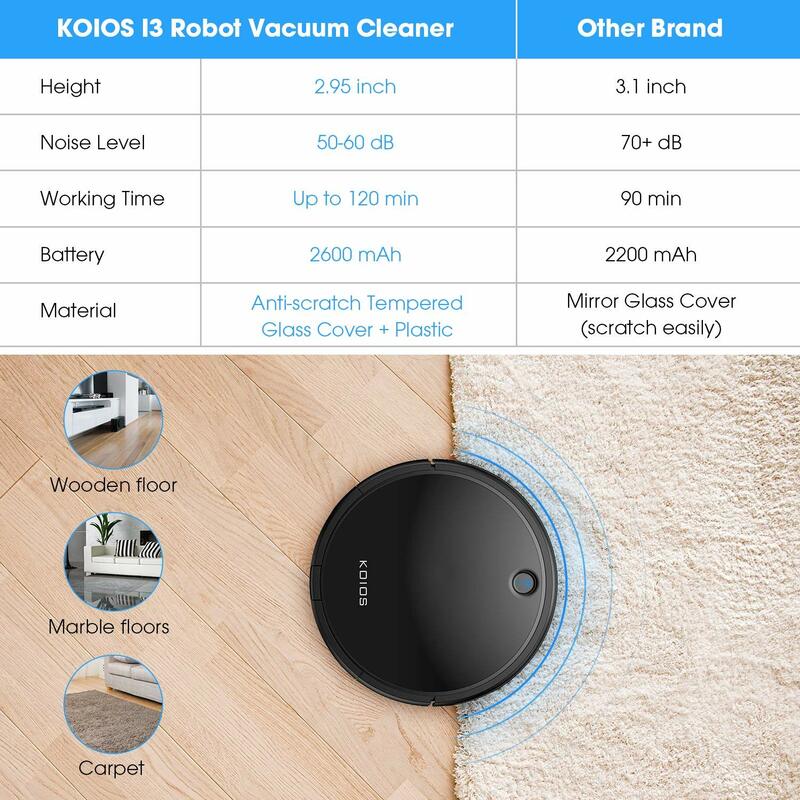 Aiming at creating a convenient and smart lifestyle, KOIOS designs intelligent robotic solutions that seamlessly integrate into your everyday life. KOIOS I3 Robot Vacuum is specially designed for families who keep pets. Its slim body design and pet hair care technology help thoroughly clean every corner of your house, saving more time for you to enjoy happy time with your family and pets. 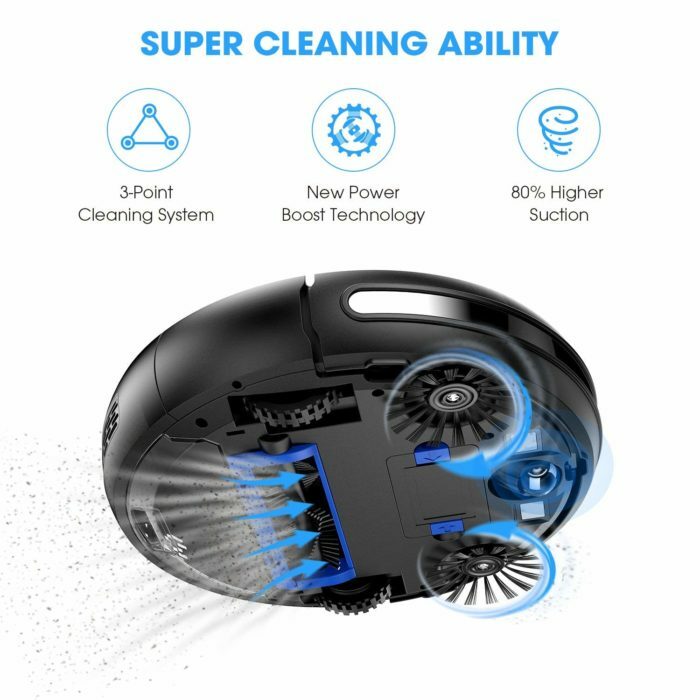 Remote controller can choose multiple cleaning modes, such as auto cleaning, single room cleaning, edge cleaning, time-set cleaning, schedule cleaning etc. With a large-capacity dustbin, you don’t have to worry about emptying it so often. 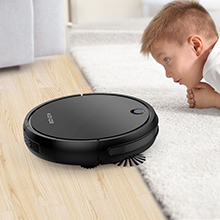 Up to 120 minutes of 80% higher strong suction power cleaning makes your family always clean. 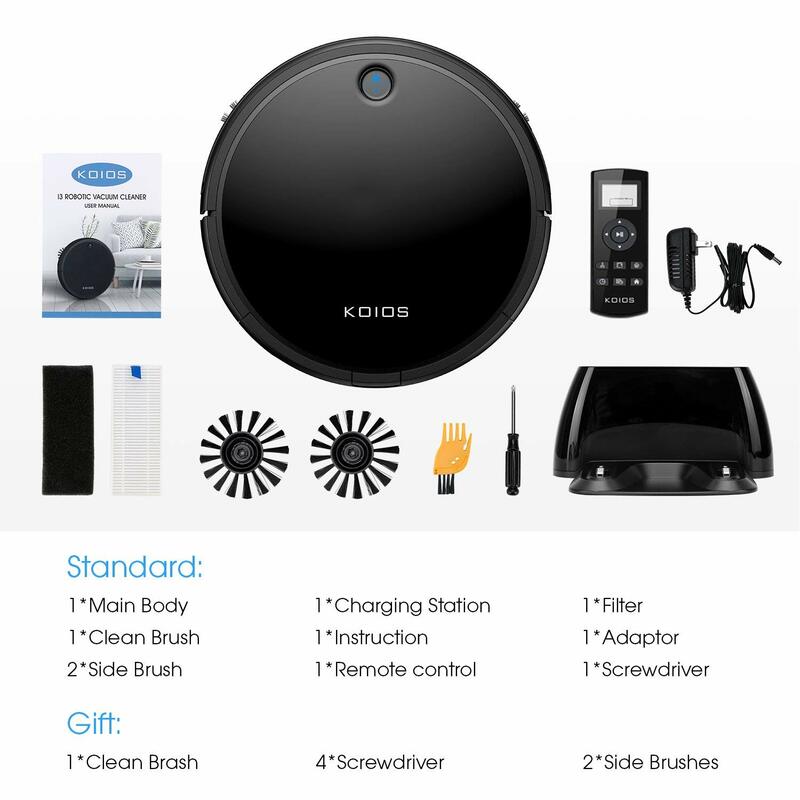 Prepared with one rolling brush, two side brushes, and a powerful suction ensure a thorough clean. The low-profile design facilitates cleaning under tables and chairs along with every nook and cranny. Air filtration system captures air particles during the cleaning process, helping to keep your home cleaner. For optimal performance please regularly clean the I3. Please see the instruction manual for detail instructions on how to properly clean your I3. The I3 comes with complimentary cleaning tools. Question: Can the vacuum handle with dog hair, we have 3 dogs and 1 cat with quite a few hairs? Answer: Yes! I have two dogs (one is a Shepard and husky mix) and two cats. 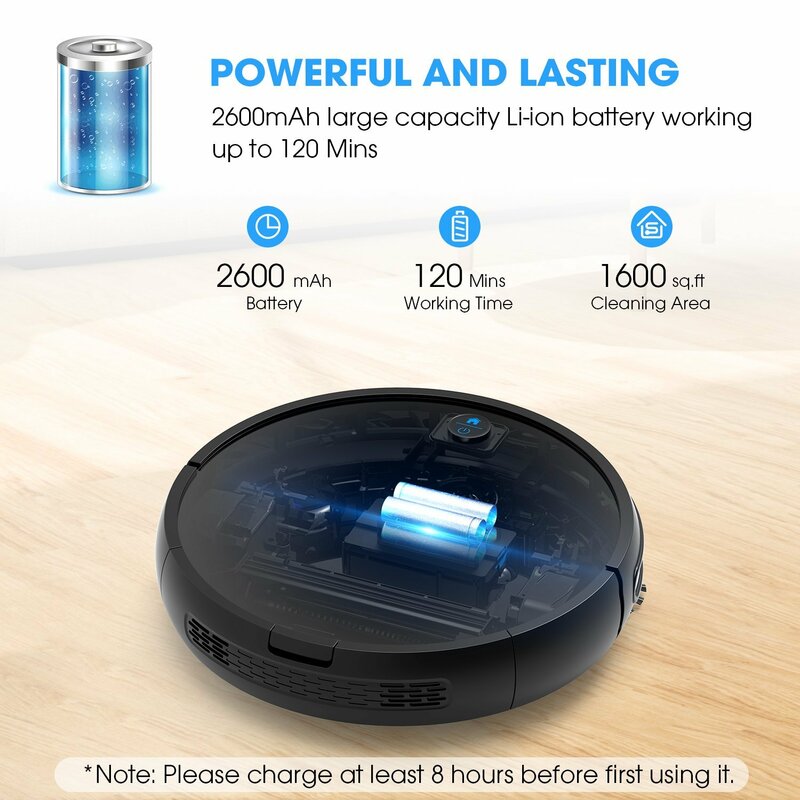 This vacuum picks up better than my upright vacuum! Question: Does this one go back to its charging station when battery is low?? 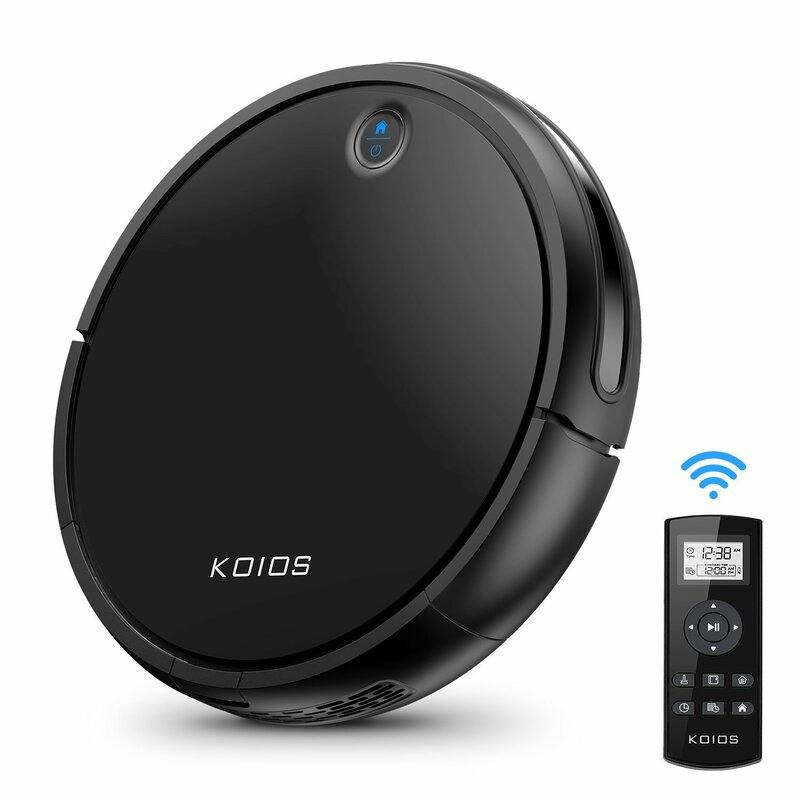 Question: Does this vacuum have an app? 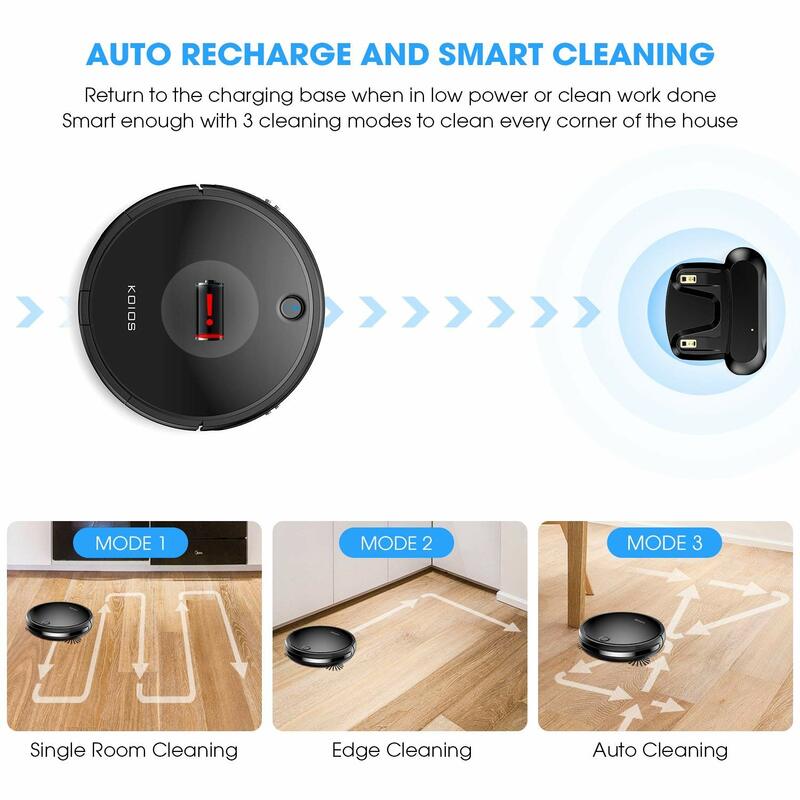 Answer: No, it does not have an app, you can use the cleaner with remote control or auto clean at one touch on the power button of vacuum body. 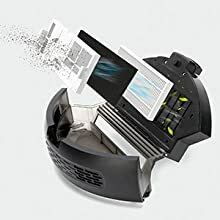 Question: How long is the warranty and where do I go to claim my warranty? Question: How long can the vacuum work? Answer: Hi, it lasts 90-120mins. 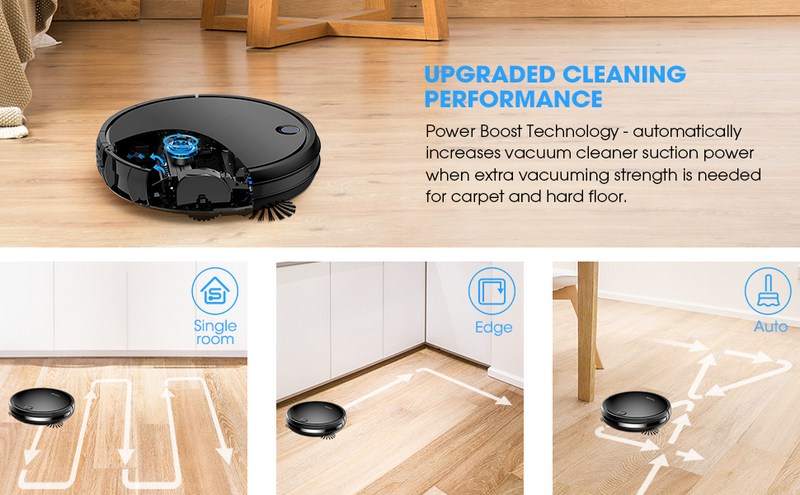 Question: Will this robot transition from hardwood to area rugs? Question: IS it ok to use on hard wood floors? Question: Are there any cons to owning this robot vac? It has a 5 star perfect rating so is it truly that great? Question: How much does it hold? Question: Can one unit be used on different floors if I move it from one level to another? I have a three story house. 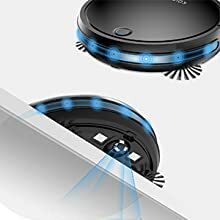 Question: Does it bump against dark surface. I also have dark floors can it handle it? Answer: Hi , it is suitable for hard floor and low-pile carpet. Question: How do I turn off the cleaning schedule feature? The other answer, from just a few weeks ago, doesn’t work at all for me. Question: does hair get tangled easily? Answer: Hi, it is suitable for hair, it won’t be tangled easily.